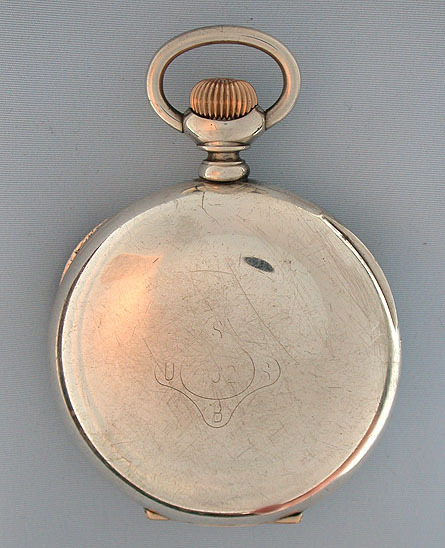 Fine and scarce very heavy Elgin silver WW I Father Time freesprung 21 jewel deck watch with diamond cap and winding indicator circa 1910. 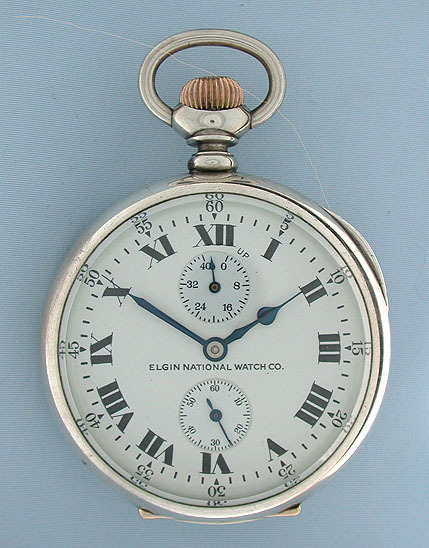 White enamel dial with bold numerals and blued steel hands, with subsidiary up/down indication at XII. Plain polish case with faintly engraved USBS insignia on the back. 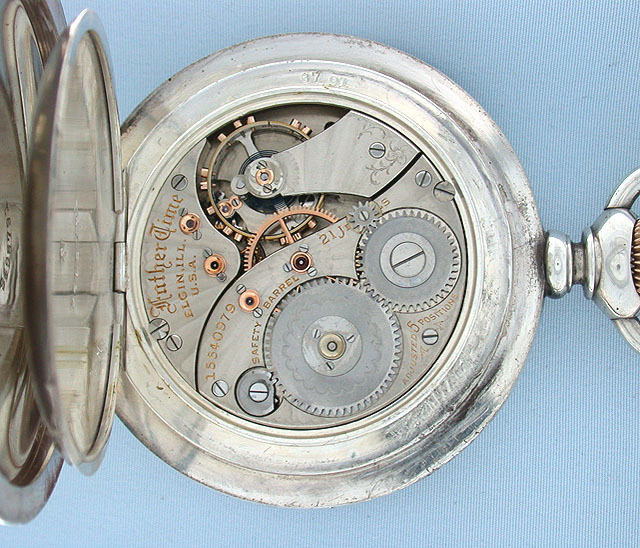 Fine damascened nickel movement with jewels in screwed gold settings.